I, for one, am very confident that Garmin will continue to do very well in marine electronics without absorbing Raymarine. In fact, the entry I was going to write today is about two of its newest products, both now installed on Gizmo and both quite noteworthy. But I’ll let that wait until Monday. I think the whole world of marine electronics, and its fans, should celebrate this weekend. With Raymarine in very solid hands, and the boating economy a little better than it was, it looks to me like the Big Four (plus one?) are poised to compete with gusto. The deal that went down today was pretty confusing, but maybe there’s even some comfort for Garmin, if it forced a higher price. And its offer can certainly be seen as proof positive that it, like FLIR, is very serious about marine electronics. From where I sit, it’s all good. PS In response to some of the comments below, here’s a graph of RAY stock for the last year. I don’t pretend to understand all that went on, but obviously it could have been worse. I am glad to see this happen, instead of Garmin purchase. 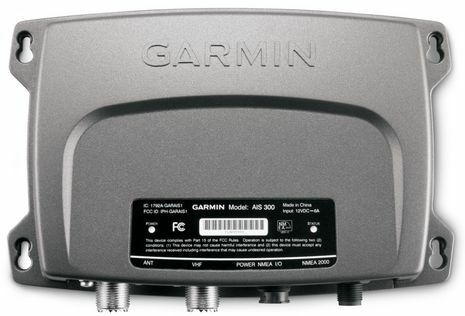 While I am a big Garmin fan, I also have Raymarine products as well, and didn’t want to see the RM line dismantled. I hope that FLIR will open the R&D floodgates to help in new product development and integration into the N2K field better, and remove some of the proprietary stuff that RM has. PS. Lou Rota expanded a bit on this line from the announcement: “FLIR plans to expand Raymarine’s product line breadth by integrating thermal imaging cameras with Raymarine’s display, radar and autopilot product lines to create the broadest, most effective, and easiest to use suite of products in the marine electronics industry.” Lou says that one day thermal will fit on the “must have” electronics curve “somewhere between GPS and radar.” In other words, that thermal will be so inexpensive, integrated, and effective that many boats will have it before they step up to radar. Oh well, I had hoped Garmin would get Raymarine and straighten up the product line. I doubt FLIR understands Ray’s problems, ie proprietariness. Garmin is leading the way in supporting open standards. I’m afraid Ray will slow drift out of my boat. I see this as a real positive for the recreational marine community. FLIR is a solid company, with commitment and financial clout to make RayMarine a better product. I look forward to seeing an improvement in both RayMarine, but also integration of the imaging products at a less expensive price. As corporate acquisitions go, I suppose it’s far from the most convoluted out there. I must admit to being a bit surprised by the final figures ($24M changing hands for a company valued at $180M?). If FLIR is willing to bring thermal to a broader market, this would seem to be a logical route to take. Thermal imager technology is at the point where the costs can come way down as soon as the manufacturers are willing to try targeting the mass market. I hope they’ll keep the whole “situational awareness” thing in mind, and not try to clutter the line up with too much flash and glitz as the product lines are reworked and the corporate look and feel inevitably overhauled. Strange to see a high-end company like Flir going down-market. It would be nice to see thermal in the price range of the average Raymarine customer, but if they do that how do they protect their margins at the high end of the market? Mathew: You misread. The “transaction value” is $180 million, $24M proceeds to Raymarine. That means they’re paying $180 million, 156 million of which is going to pay Raymarine’s creditors. Ben: FLIR has the resources to make Raymarine a real player again. It’s already great gear. Garmin’s purchase of Raymarine would be more to get them out of the way. They wouldn’t be developing a whole line of separately awesome Raymarine gear. Think Navico. NMEA2k networking and interoperability is here to stay. FLIR can certainly afford to buy Raymarine and continue to inject money into a brand and business model which in recent times has proven to be very frail and quite clearly a financial failure! The question is why? Raymarine relies almost entirely on a fragile market sector which proved disasterous when leisure spending dried up. FLIR will be pumping the profits of their core and profitable businesses (thermal imaging)into a market sector where they will need to invest in new R&D. This will be costly since they cannot use product technology in the same way Garmin, Furuno and Navico can by using technology from their other markets. This helps hugely with sales volume and all important sales margins. It wil be interesting to see how FLIR adopts fighting for market share in the lower end marine electoronics industry which is already crowded. Traditionally (I would think) FLIR enjoys high margins an excellent cross product / market efficiencies. It will be interesting to see what happens in sat 2 years from now? I don’t see why this marriage of take over makes sense except to save the Ray brand from complete demise. Their product line and customer support were tanking. What does FLIR bring to these problems? Throw good money after bad? Let’s see what happens. I am not hopeful for Ray owners. I think its a win-win for everyone. FLIR gets an established company that they can build on, and boaters get increased competition and the removal of the threat that our Ray equipment will be orphaned. If FLIR are smart, they will immediately begin to upgrade the line to better compete with Garmin and others. Hopefully, the new stuff will hit the store shelves about the time that the market climbs out of the ditch. FLIR have money to spend on R&D that an independent Raymarine could only dream about. If there is a looser, it might be Garmin, but only if they rest on their laurels. I expect Garmin will redouble their efforts to stay ahead of the crowd. Seems to me this market already has too many players for the number of sales and that puts everyone’s prices up. 3 Sound suppliers should be sufficient to allow technical and price competition yet still allocate the fixed costs over more units for each company and bring the product cost down to all of us. Maybe its a leveraged buy (the debt at least) and it makes perfect sense. Let’s not forget that RM had $170M in sales last year (bad year for sure). That’s 15% of FLIR’s current sales that will be added to their revenue. With some smart engineering/strategy/marketing the number could climb steeply especially once the market picks up. But in order to get the turnover of what is essentially only equivalent to 15% of FLIR turnover they need to spend approx, $200,000,000 PLUS a lot more to get to the front of what is a very competitive and crowded market space. Raymarine only managed a dismal TO of $170M and to get that they had to discount their products in an effort to buy market share in an effort to to stimulate a depressed market. This is not good business practice and all succeeded in doing was driving another nail into their coffin. There’s not enouh space in the leisure marine industry where all manufacturers are pushing the multi function display concept. Navico with their Lowrance benad is b=very strong in the high volume low end market sector whilst Furuno has the product and product strength to fill the high end pleasure boat dashboards. There’s a bunch of others fighting for market share but with so many players needing the critical volume of sales to allow for a profitable existence I can see why Raymarine failed. It’s a pity and lets hope that FLIR can throw in the lifeline and passion to push it into number one, two or at least number three position. Otherwise why bother? sorry, I should say “let’s hope that FLIR can throw Raymarine not only a financial lifeline and passion but also the strong leadership and business savy that has clearly been lacking at Raymarine and which has been responsible for sending a great brand with a very loyal customer and worldwide distribution / service network into a state of administration. Let’s see if history doesn’t repeat itself when FLIR decides to spin off Raymarine again in a few years. OK, I went out on my friend’s new Nordhavn in the Northwest earlier this year. He spent a lot on a big system with a Furuno 3D Navigation system and a Flir Thermal Camera that we could spin around and look at things. Everything worked great and the Flir camera was unbelievable until it started to RAIN!! Then the Flir camera was basically USELESS! If thermal cameras don’t work in rain, what is the true advantage? Using the camera to find a MOB on a clear night should be possible but probably not when it will be most needed. Using the system in rain, fog, and in weather is when it is needed most and also when the Flir isn’t going to work. In my opinion, a thermal camera is a novelty if it won’t work well in weather. Give me that radar and chart plotter any day. 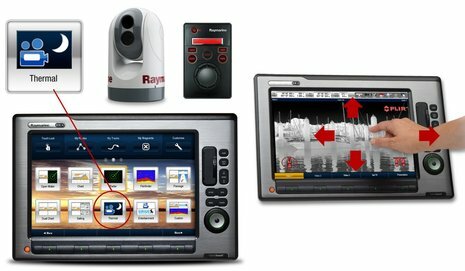 While, I wish Flir well resurrecting the Raymarine brand and integrating their cameras, I wouldn’t want the job…. There’s nothing wrong with some skepticism, but a lot of this seems to ignore both FLIR’s general history, and the way it’s approached the marine market. For instance, the company used big acquisitions to build its dominance in thermal technology, but I don’t think it’s ever flipped a company for short term gain. FLIR has invested a lot in building their marine brand and dealer loyalty. They seem dead serious about being in the marine market, and if anyone can both own one major electronics manufacturer and also work with the others, it’s FLIR. Finally, there may be an important non-marine aspect to this acquisition. Apparently FLIR sells security systems that include radar integrated with thermal vision. Now they own a company with some advanced digital radar technology, which is not easy to develop. Ben, I would think you could design a lot of digital radar for $200,000,000! FLIR has performed well in their niche market of thermal imaging and have probably (I’m having an educated guess here) made most of their money from the security, homeland security, maritime rescue, government, etc departments as opposed to the crowded arena of consumer marine electronics where the volumes are low and the margins even lower. Mass manufacture and mass distribution forgives a lot but my understanding is that neither Raymarine management (clearly) or FLIR business philosophy meets this criteria? As for the hangover of debt from the Raytheon management buyout, what was that, roughly 10 years ago? I’m actually suprised that Raymarine lasted as long as they did. 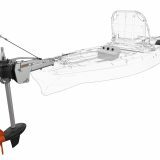 In my earlier post I made mention of product synergies and with Raymarine having to stand on it’s own without the downward flow of technology or the offset of the R&D costs from the high-end Raytheon products their R&D costs would have been high and very difficult to recoup in such a price sensitive and competitive market as pleasure boat navigation gear. Take away the abnormal (and unsustainable) spending of the five years prior to the GFC and one quickly sees how vunerable such a business model can be. Low volume, low margins = too much DEBT! I say watch out Navico as they no longer have the downward transfer of technology from their parent company (Simrad – Kongsberg) and have to stand alone in a market where products need to evolve at a very rapid rate, where quality IS important because service/warranty costs a lot more than the handheld return to base consumer products that Garmin and other entry evel products adopt. Navico is backed by venture capitalists and they too will want a decent return or they will fall out of love with marine electronics and find something else to invest their money into. Navico and Raymarine made decisions when the markets we’re booming, at levels many say that we will not see for many years. The future of this industry is going to be very interesting! It would appear that Raymarine already has competitive products, they do what it says on the can. The problem, in my eyes, is the very poor after market service and attention to keeping their pre-existing cutomers happy. If FLIR fix this, then, although they have a mountain to climb, the word will spread quickly through the buying public. This might make business sense (I fail to see it) but I wonder how much of this purchase is just an “in your face” move against Raytheon. Raytheon and FLIR have been fighting for years over patent issues. It must feel sort of good to pick up Raymarine simply for that reason, and it was fairly cheap. Perhaps they even have some idea of going head-to-had against Raytheon in the defense electronics market, since there isn’t all that much difference between the grades. I would not be terribly worried if I were Garmin. Garmin has a pretty balanced portfolio across sectors (aviation, marine, auto, personal) and price points. FLIR is kind of a one trick pony who will have difficulties competing with Chinese or Russian knock-offs in the future as the underlying technology continues to become less expensive. It is hard to see that the boating population will be a very consequential addition to their bottom line. I hope for the best, though. As I read so many of these posts that refer to FLIR rescuing Raymarine, either current or future tense, I have to strongly disagree. Raymarine rescued themselves folks. I only have an outsiders view on this, but it appears that the employees and management of this company made an incredible turn around over the last 18+ months and the reward is to be worth $25 million to shareholders rather than being written off, and to move forward free of the debt. Despite a tremendous amount of dept overhanging for ten (?) years and a terrible world economy, Raymarine put together an aggressive product refresh and business plan that won additional time and funding from their creditors. By all appearances the employees and management executed well, delivering new products customers want to buy (I am installing my new Raymarine HD radar this month), debt repayment to their creditors, and a value to stockholders raised from near 0 to $25 million in a short time. The employees and management also delivered substantial software updates for existing customers (Thank you kindly Raymarine for that �E-series Reloaded� Upgrade, Much Appreciated !! ) . It�s no wonder that Lou Rota from FLIR told Ben � there are no plans to move or substantially change Raymarine operations�, the team at Raymarine has pulled off a small miracle. Well done ! Dan, as someone who has just invested in a new Raymarine product you will have no choice but to see the current fall of events in a positive way for both Raymarine (the brand), its customers and its employees. I am looking at it from an investor and business perspective, not a customers point of view. I believe that Raymarne mangement did a good job of one thing only and that is securing their own jobs, for the while anyway. Had the company been purchased by Garmin the top management of Raymarine almost certainly be looking down the barrel of a totally new management approach and probably even new management. The only reason why the stock increased in value is because of the inevitable sale of the company and not because it was performing well where the stock was in demand. I believe that this buyout is a huge let-off for the many investors that saw their hard earned cash heading south! On the back of a buy out, the share price clawed its way back from being worthless to only a little more than worthless. Both FLIR and Raymarine knew that the administrators would be sent in before they were prepared to put forward their final bid. In fact FLIR announced that they have played their hand but I would not be suprised if Garmin makes a late charge, administrators like that! This is a win win. After some poorly timed and considered over-expansion that nearly sunk the boat – but throughout these faltering management decisions the RM brand has continued to punch above it’s weight!! Sure there’s plenty of room for improvement, but even in this lull, the E Wide and new radar has been a shock to the competition, someone’s done a great job of keep brand and products flowing while owned by a bank! What’s the vaunted, well healed competition done recently – not much? Now for RM to expect increased R&D funds, progressive and competent management, brand overhaul pending and ready for the next swing upwards- I think it’s a great result for both Raymarine loyalists and those who generally excited by any brand progress. Check what Lou Rota did for FLIR. Time will tell, but at face value FLIR getting their hands on Raymarine should keep competition going between two key players in the marine space. This should keep garmin on their toes, and benfit the consumer. I have used plenty of Garmin and Raymarine kit on board, but have to say not really a fan of Raymarine’s ‘user interface’. Garmin still ahead on ‘ease of use’ and also power functions. Sorry, John, but that’s just nonsense. If the 500% rise in Raymarine stock over the last four months was so inevitable, why in the world did the price get down to 3.65 pence? The stock graph I just added to the entry above is absolute proof that there was great uncertainty about the end game, and that ultimately Raymarine did much better than a lot of investors thought possible. I always thought the Raymarine brand had too much value to go away, but there’s plenty about this story I know I don’t know. But I do think Dan has a good point, and I also think that you are making a number of false assumptions. Where, for instance, did you get the idea that marine electronics is a low margin business? Or that Raymarine has been deep in debt for a decade? Or that Navico was dependent on R&D from Simrad Kongsberg (examples, please)? Or that FLIR — and Garmin, and the unknown third bidder — didn’t know what they were doing pursuing Raymarine? If you followed the Raymarine debarcal daily as I have watching my shares deminish to nothing (from 365p) then you’ll see the whole story of the share vaue unfold. When it looked like there were no buyers for the failing and heavily debted company, the share price plumeted (even further) wspecially wen their bank was not prepared to renew covenants. However when a timely annoucement of “talks with potential buyer” was made the share price increased, this especially when it was revealed that Garmin was the interested party. The “surges” sounded terribly impressive but lets face it, the differece between 3p and 6p is 100% but in essence the sare is still worth the best part of nothing! Things got heated and raymarinewere getting desperate (because they could not meet the banks covenants) an that is when it looked like adminstrators would be appointed. As you correctly point out the stock dropped to 3.65 because at that stage neither Garmin nor FLIR had declared their hand. Look at your graph which shows point “I” around mid April where Ray announces possible offer and guess what, the shares skyrocket! Shares do not rise when an embattled company announces it has to sell or the banks step in, they increase in value when a reputable bidder (like Garmin) shows interest by making or expressing an offer. Your graph highlights this! I will agree with you one one thing and that is that the Ray brand was too strong to simply fade away and it was inevitable that someone would pick it up at a bargain price. Let’s face it, in true accounting terms they have not sold the business for much as more than 50% of the money that will change hands will be used to pay debt, not buy stock, intelectual property or any real value. FYI, Garmin looked at Raymarine in May 2008 as that is when the cracks were starting to show. I remember it well because I had just caught up with Andy King, Raymarine’s Director of Sales and Marketing and he let out a huge sigh of relief when the deal was knocked back by the Raymarine management. 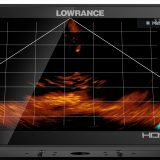 Low end consumer marine electronics is not a high margin business….just ask Lowrance, Navman (names that jump to my mind) as their founders could not offload them quick enough. Last time I checked good businesses with high margins are not dropped that quickly or cheaply! It’s going to be interesting to see what FLIR does with the brand as history HAS proven that financially it cannot stand on its own two feet, surely you cannot argue that? Ben, I suggested that Raymarine has had debt for a lot longer than just the last few years (you have suggested otherwise) so if this is new debt (recent debt) then Raymarine has managed to rack up somewhere around $120M in debt in just a few years? If this is the case then my business sense tells me that they have got bigger problems than they care to believe! 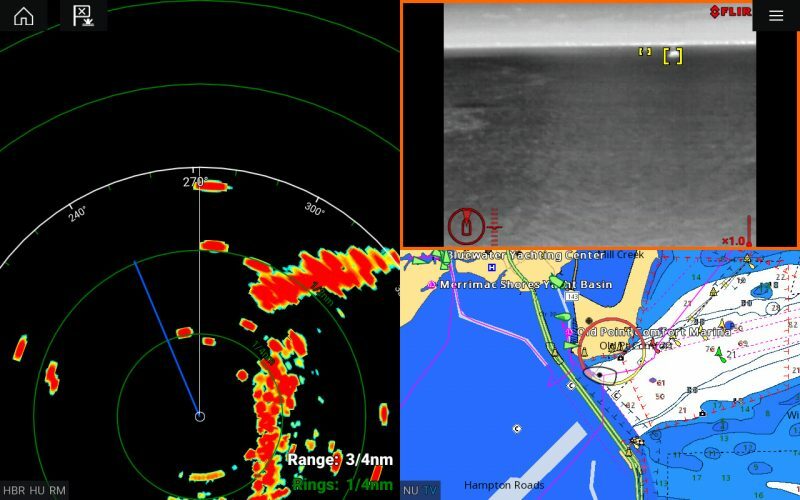 As a successful investor of shares in many different markets and market sectors and as an electronics engineer who has a life long passion and career in marine electronics I’ll certainly be following the FLIR / Raymarine marriage with a geat deal of interest. PS! sorry for the typo’s in my long post above but I’ve been working in a smart phone and the keyboard and predicted text is taking some getting used to…sorry. Now consider FLIR – the 8000 pound gorilla in the mid- to long-wave-IR imaging market who has set the standard. Their corporate name identifies the entire market. Their products have dominated for years in the “why use lead when gold will do” world of military systems and government contracts. They sell at list price to everyone because if you want a FLIR, there’s only one place to buy it. (And frankly, you *do* want a FLIR if you want thermal imaging.) Their gross margins are incredible for what is a product and manufacturing business. where new product development is expensive and must proceed at a frenetic pace because of the competition. It’s hard to imagine a worse fit for FLIR from a business model or market culture point of view. Obviously they believe they have identified something which makes sense. I wish both FLIR and Raymarine the best of luck as they begin the process of integrating the companies because I’m afraid they are going to need it by the boatload. I won’t get into the financial details, but I’m happy to see that it was FLIR and not Garmin. Otherwise RM would surely be cannibalized and cease to exist as a product line. Well said Mike, you’ree obviously a man with a deep knowledge and understanding of the marine electronics industry. 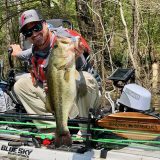 Ben, you are correct about Lowrance but just remember that over that 50 year period, Lowrance had very litte competition in a market sector where they achieved great success. But, in recent years they had to compete with a great deal more serious competition from the likes of Garmin, Navman, Raymarine, etc all eating away at their market and margins and that is why Lowrance was eventually sold off. Certainly not because it was a high margin profitable business with room to grow! You mention that Raymarine purchased there distributors and asked “what where tey thinking”. I can tell ou what tey wer thiking….they’re were’nt tinking. They were caught up in a boom of sales and they never thought what would happen if it dried up or slowed down. We have seen more consolidation in the industry in the last few years than ever before and we have not seen he end of it. just where Raymarine will land up depends on how much money a cashed FLIR wants to throw at it because not only does it need the $200M rescue package it needs a major operating cash injection. I agree with Mike, what is FLIR thinking? The margins are simply not there otherwise Raymarine would not have run up 100M Pounds Sterling of debt…surely not or am I missing something? Fortunately I did not loose too much on my Raymarine stock but I think the lesson learnt is well worth the price I have paid but nothing like the price FLIR will eventually pay. Another lesson I learned is to buy stock with your head not your heart! I say good luck to FLIR and Raymarine. Sounds like we’ll be seeing Raymarine branded and integrated thermal cameras, and that some Raymarine technology will go into FLIR non marine security products.